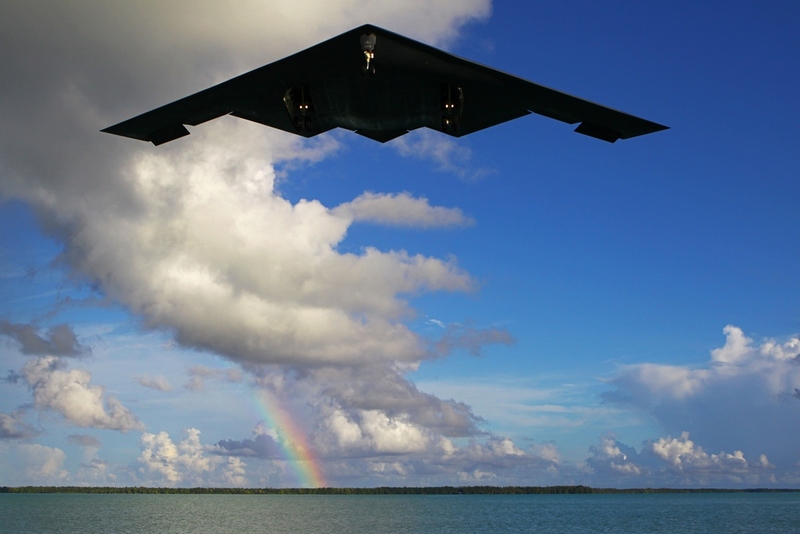 HomeMilitary AviationAmazing St. Maarten-like photo of a B-2 stealth bomber landing in Guam. Ops, it’s Diego Garcia. 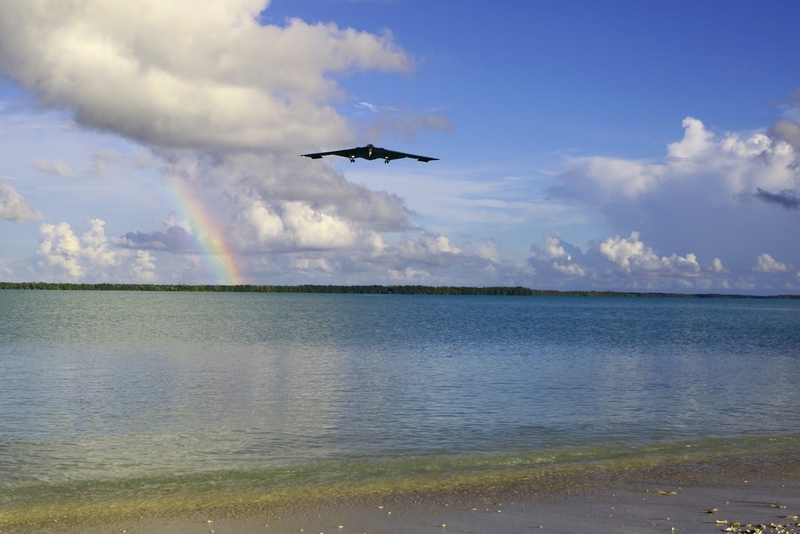 Amazing St. Maarten-like photo of a B-2 stealth bomber landing in Guam. 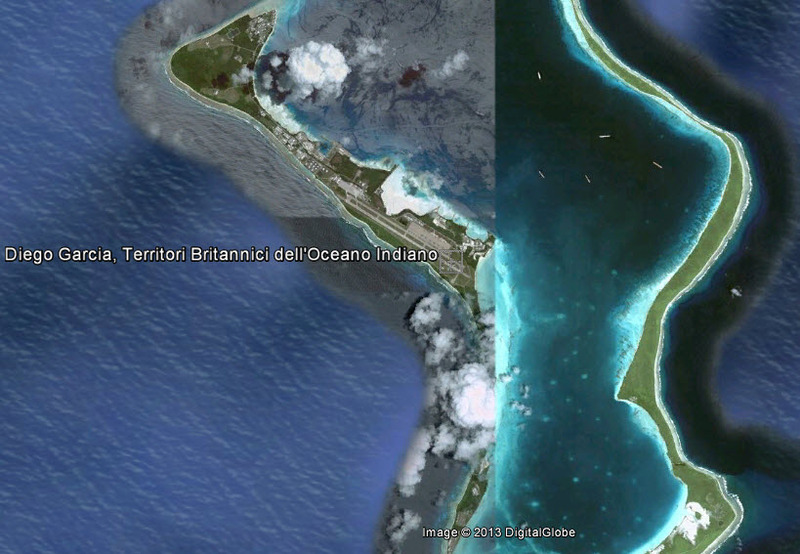 Ops, it’s Diego Garcia. Princess Juliana Airport in St. Maarten, the Caribbean island, is one of the world’s most famous airports: essentially, planes on short final for landing pass on top of beach goers on Maho Beach, that is always floodeed with tourists and photographers. If you look for images of aircraft landing at St. Maarten’s Princess Juliana Airport online, you’ll literally find thousand close up photographs showing planes flying extremely low over bystanders at Maho Beach. Now, look at the following images. They’ll remind you the typical close-up pictures taken from the Caribbean beach with a main difference: the aircraft is not a civil liner but the U.S. most famous stealth bomber, the B-2 Spirit. They show a B-2 Spirit bomber from the 509th Bomb Wing at Whiteman Air Force Base, Missouri, about to land at Andersen Air Force Base, Guam Diego Garcia, in the Indian Ocean Feb. 11, 2013. Two such radar evading planes are temporarily based at Guam to strengthen the U.S. presence in the Pacific region. But, although the caption of the Air Force photo says the aircraft was flying near Andersen, the image depicts a stealthy bomber landing at Diego Garcia, several thousand miles to the east of Guam. Indeed, if you check the position of Andersen AFB and Diego Garcia on Google Earth, you’ll notice that only the one in the Indian Ocean has a strip of land visible from the runway threshold. Red Flag 13-3: focusing on Electronic Warfare, SEAD and Intelligence. With plenty of Aggressors.